Waste-Away lowers Phosphate and Nitrate plus it removes hidden wastes and dirt from gravel and coral beds! 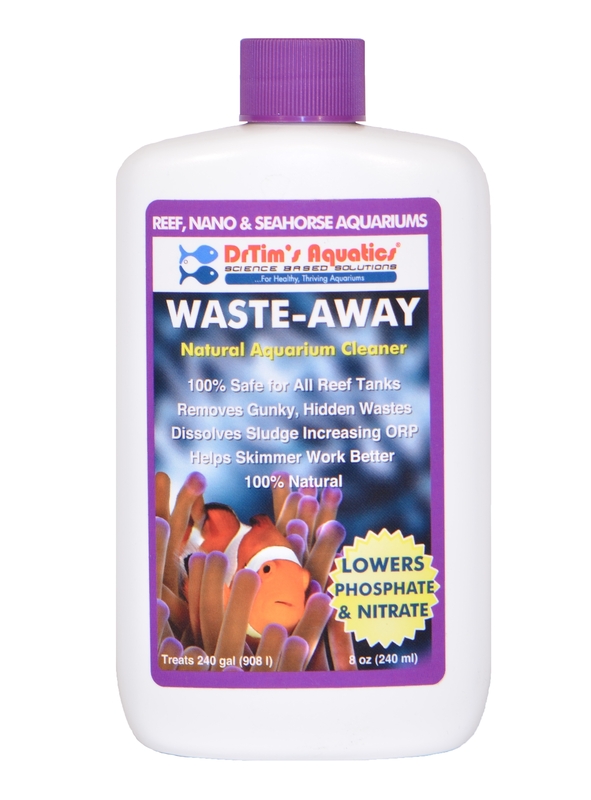 DrTim's Waste-Away is a unique combination of bacteria that attack and dissolve organic wastes in the aquarium quickly. 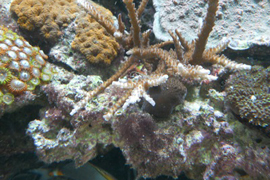 Waste-Away works to unclog coral beds and keep filter pads freely flowing longer. This results in better water flow, more oxygen and a healthier aquarium environment. Waste-Away should be used on a regular (weekly) basis to keep sludge from accumulating which can negatively affect fish and corals. This product works absolutely perfectly if used just as directed. Do NOT overdose! 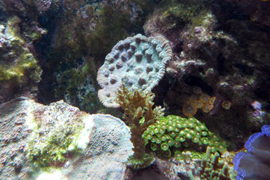 It brought my corals back and now they look beautiful and healthy again. I'm extraordinarily pleased. This was my last ditch effort too. I even tried the bad chemicals which didn't work after exhausting all other options. Then I found Dr. Tim's and I'm so pleased it worked for me. Don't hesitate to purchase this product! Just be careful to read and reread the directions thoroughly. If you have strong custom LED lighting like I do in my tanks, be prepared for some cyano to creep up on you from time to time, but now I just use Waste-Away and it's gone. Happy reefing! I`ve been using Dr.Tims products for a few years now waste away along with a few others in the product line and all I can say it really works thank you Dr Tim for making my tanks shine. 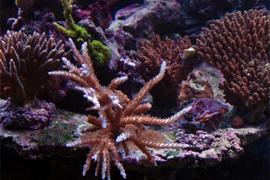 A must have product for anyone wanting to keep a reef aquarium. THIS STUFF IS FANTASTIC - DOES WHAT IT SAYS, UNLIKE MOST PRODUCTS ON THE MARKET! I use Waste Away weekly with water changes and Eco Balance once a month.It took two months to get clean rock and white sand. I'm glade I found these products. Highly recommended. This product has helped me get rid of troublesome green hair algae. It has also helped my tank look much cleaner. I noticed a difference after only a week. The only thing I wish I had done was gotten a bigger bottle!!!! After playing around with various method of using bacteria to aid in keeping my reef clean and healthy, I have settled on a formula that is working extremely well for me. 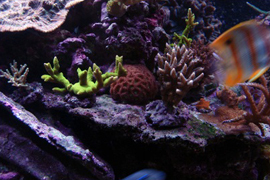 I feed as much as my Lionfish & Garden Eels need without having to worry about algae breakouts. My water is crystal clear and all my fish and corals look great. My routine involves using Waste-Away & Eco-balance once per week. I'm using the products in my 150 gallon mixed. I first cycled my 350 gallon reef system with Dr. Tim's "One & Only" and now I use his "Waste Away" product. All the products work as stated. Even my local fish supplier couldn't believe the results. I would highly recommend these products.